Portals began as a daydream. We’ve all read stories about people walking through a mirror, or a wardrobe, or a rabbit hole... and emerging in another world; another time; another space. So I wondered – what if you could enter a door at the back of your local coffee shop and see live into Lahore, Pakistan? What if you could share your morning coffee with people sipping their evening tea across the world, as if in the same room? Humans have built pioneering machines to reshape our environment throughout the history of technological progress. In more recent times, technology evolved into a tool through which we adapted ourselves to a rapidly modernizing context. In line with this trend, Shared_Studios has harnessed the potential of technology to navigate and construct novel social, political, cultural, and creative structures through Portals. Instead of shaping ourselves to fit technological advancements, we are using technological advancements to reinforce our humanity. 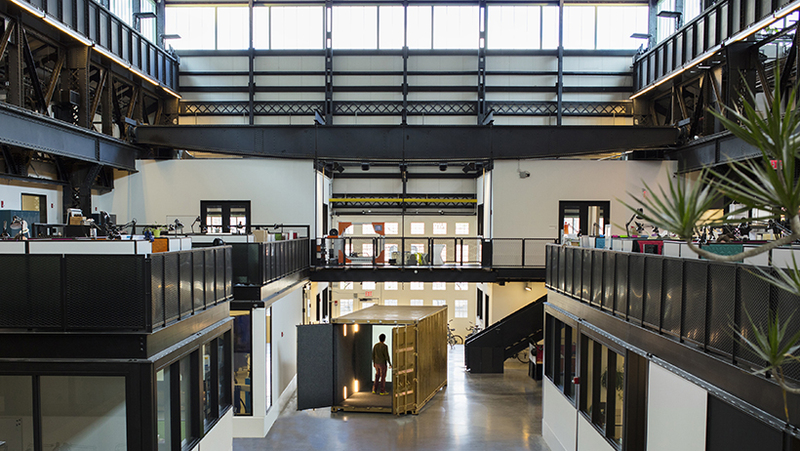 Our main office is located at New Lab, an interdisciplinary space designed to support entrepreneurs working in emerging technologies such as robotics, artificial intelligence, and connected devices located in the Brooklyn Navy Yard.